RIDGEWOOD, Queens (WABC) -- It's usually a good sign when a car engine purrs, but when a car engine meowed May 5, police in Queens went to the rescue. 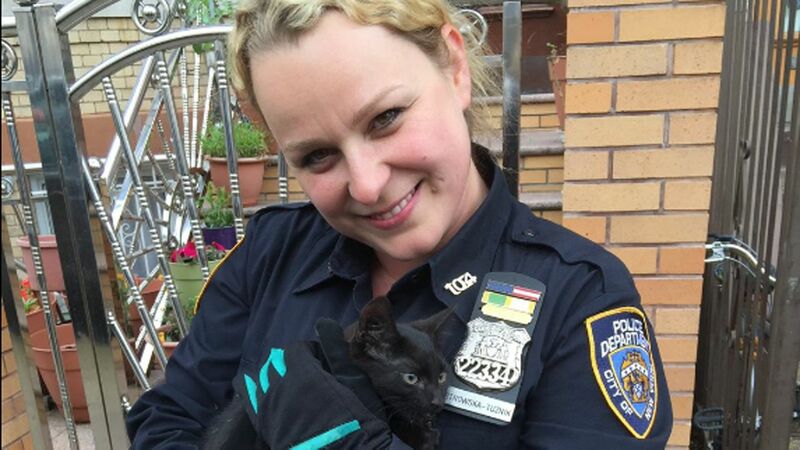 Officers from the 104th Precinct saved a black kitten stuck inside car's engine in Ridgewood. After a mission accomplished, @NYPD104Pct tweeted, "PURRRRRRR-fect job by both our patrol officers & ESU for rescuing this kitten stuck in a vehicle engine today." Unfortunately, the NYPD still has yet to find the owner of this pint-sized puffball. Police are asking anyone who knows the owner to call (718)-386-3004.